Help : The Customer Invoice Window allows you to display and enter invoices for a customer. 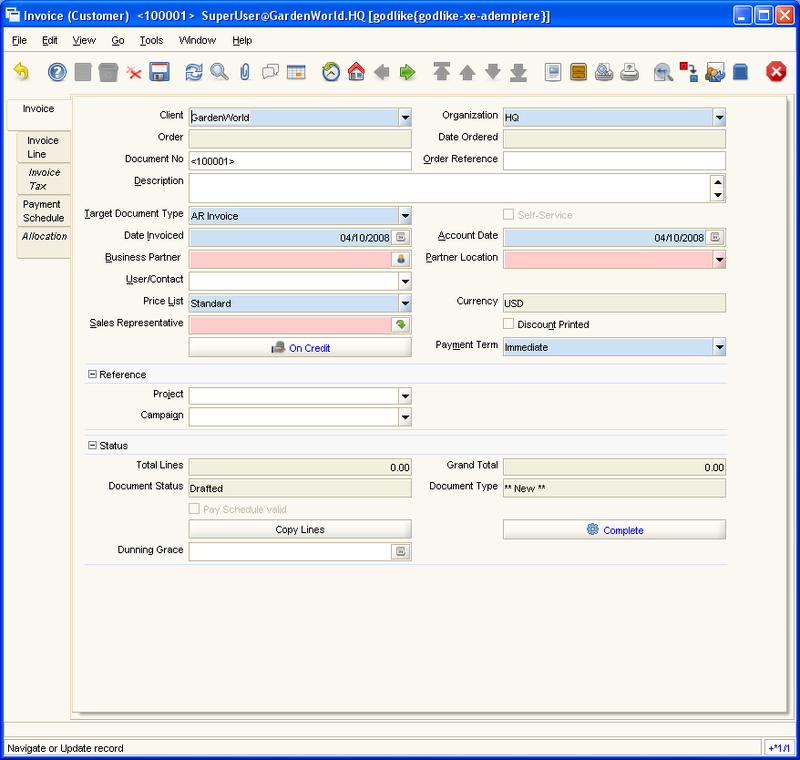 Invoices can also be generated from Sales Orders or Delivery documents. Help : The Invoice Tab defines the parameters of an Invoice generated for a Business Partner. It constitutes an accounts receivable. Help : The Invoice Line Tab defines the individual items or charges on an Invoice. Help : The Invoice Tax Tab displays the total tax due based on the Invoice Lines. 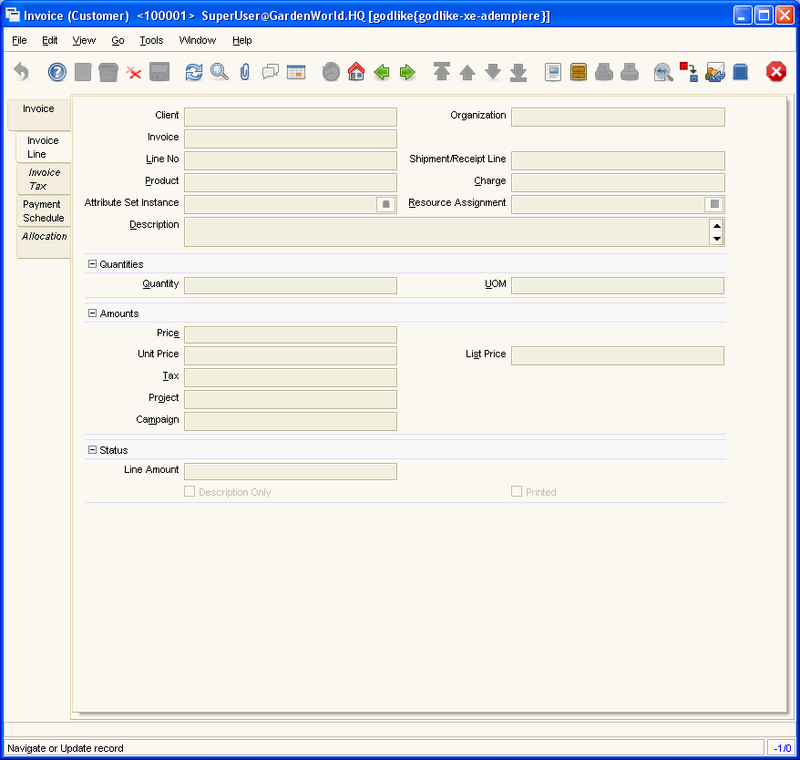 This page was last modified on 14 December 2006, at 13:46.